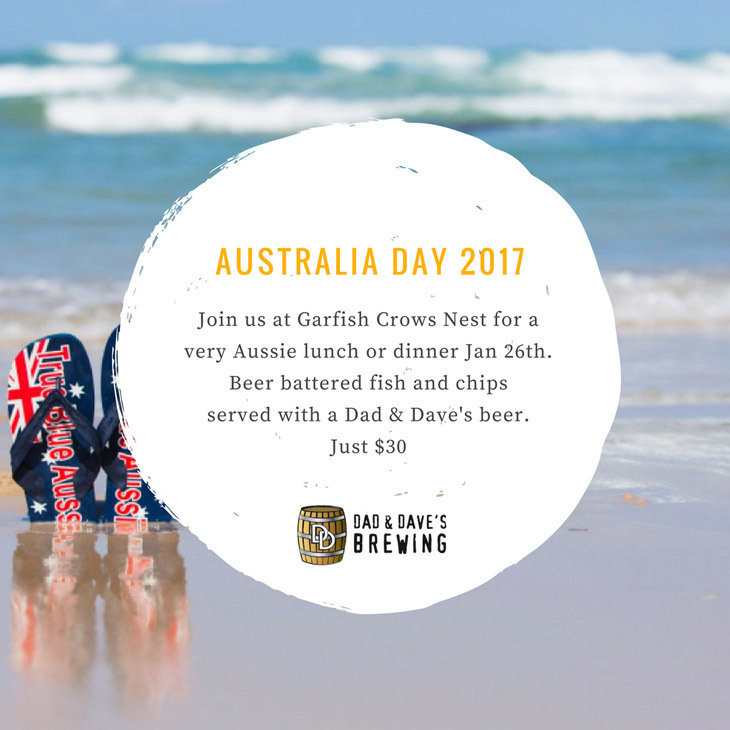 Celebrate Australia Day at Garfish! Take your Australia Day celebrations to Garfish this year! We have some great options for you that will help you relax and enjoy the Australia Day public holiday. Naturally with some amazing seafood! If you’re heading toward the city or lower North Shore on Australia Day, Garfish Crows Nest will be open breakfast, lunch and dinner. As well as our normal à la carte menu we have a special Australia Day promotion. Beer battered fish and chips served with our favourite, Dad & Dave’s beer – just $30. Find the address and phone number for Garfish Crows Nest here. If you’re close to Manly then Garfish Manly is the place to be. We’ll be open as usual on the public holiday (Thursday January 26th) and would love to see you for lunch or dinner. 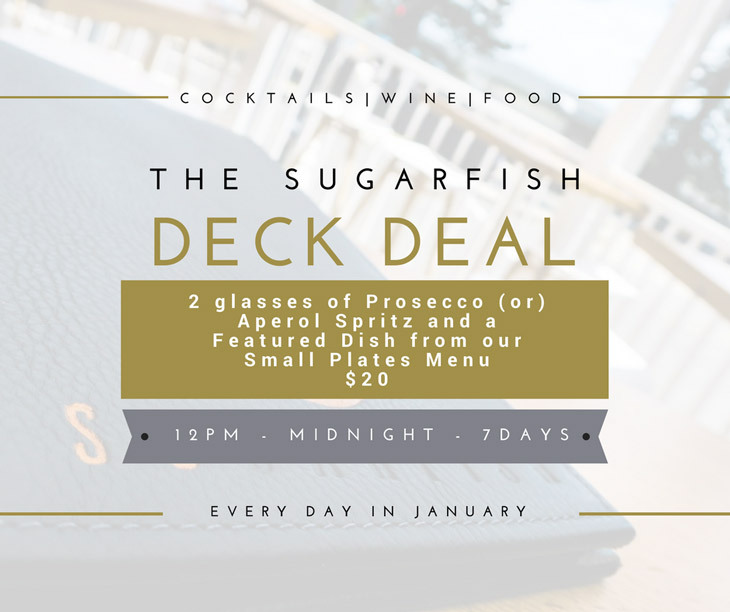 If you’re looking for something a little less formal, Australia Day will be the perfect opportunity to try out the new SuGarfish cocktail bar and deck. From lunch time onward we’re serving our fabulous share plate menu. If you just fancy a cocktail or glass of bubbles that’s ok too. The new deck overlooking Many Cove is the perfect place to meet friends for a drink.